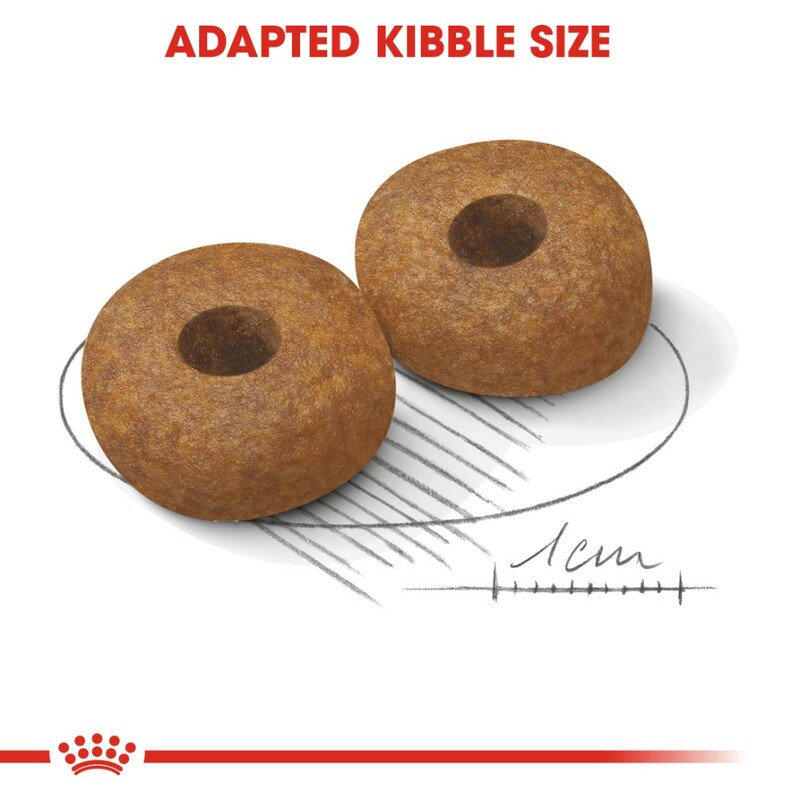 By the time your medium-breed adult dog is 10 years or older, he’s in need of a specially adapted blend of nutrients to support his immunity, bones and joints, digestion, and skin and coat. 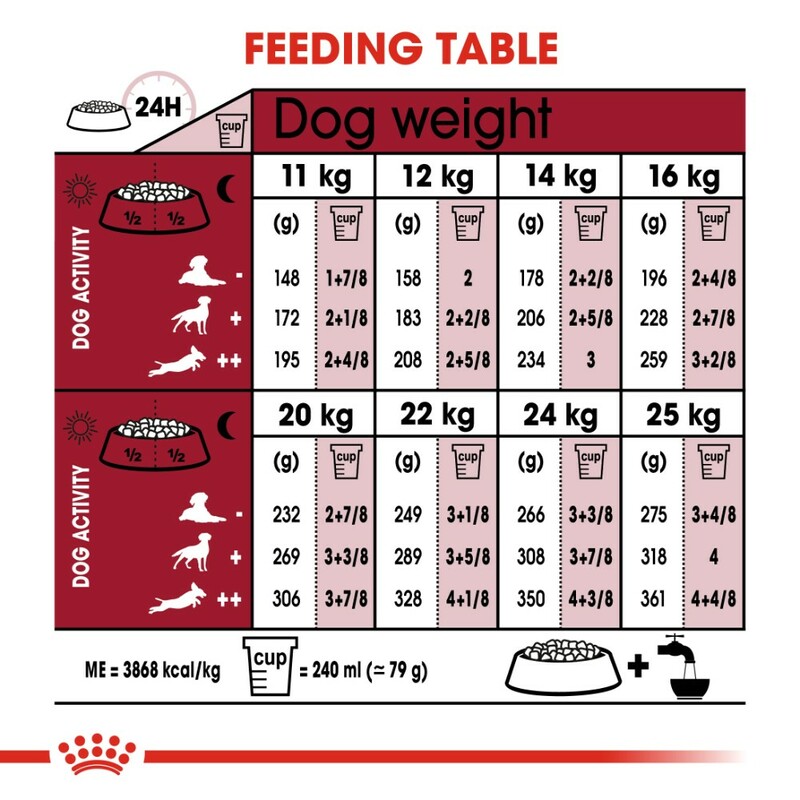 Royal Canin Medium Ageing 10+ Years formula is a complete and nutritious meal for dogs that targets each and every one of these areas with a carefully selected blend of top-quality proteins, fibre, antioxidants, vitamins and minerals. 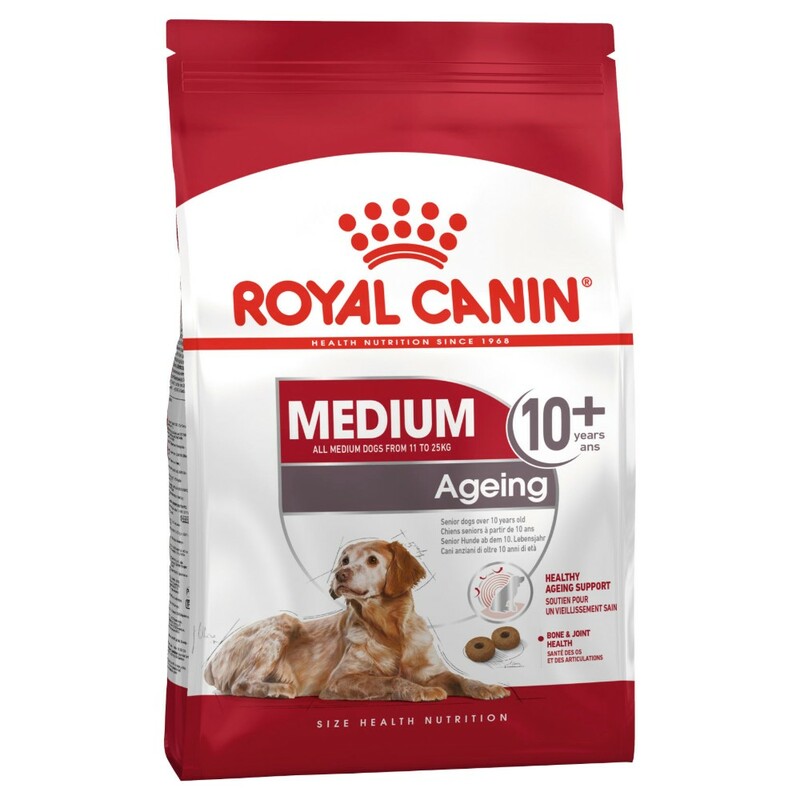 With Royal Canin Medium Ageing 10+ Years, your senior dog is in the best of hands. proteins and fibre selected for high digestibility to support digestive system. Rice, dehydrated poultry protein, wheat, wheat flour, animal fats, maize, maize gluten, hydrolysed animal proteins, beet pulp, vegetable protein isolate*, fish oil, tomato (source of lycopene), yeasts, soya oil, psyllium husks and seeds, fructo-oligo-saccharides, minerals, hydrolysed yeast (source of manno-oligo-saccharides), borage oil, green tea and grape extracts (source of polyphenols), hydrolysed crustaceans (source of glucosamine), marigold extract (source of lutein), hydrolysed cartilage (source of chondroitin). ADDITIVES (per kg): Nutritional additives: Vitamin A: 29400 IU, Vitamin D3: 800 IU, E1 (Iron): 52 mg, E2 (Iodine): 5.2 mg, E4 (Copper): 10 mg, E5 (Manganese): 67 mg, E6 (Zinc): 201 mg, E8 (Selenium): 0.1 mg - Preservatives - Antioxidants. 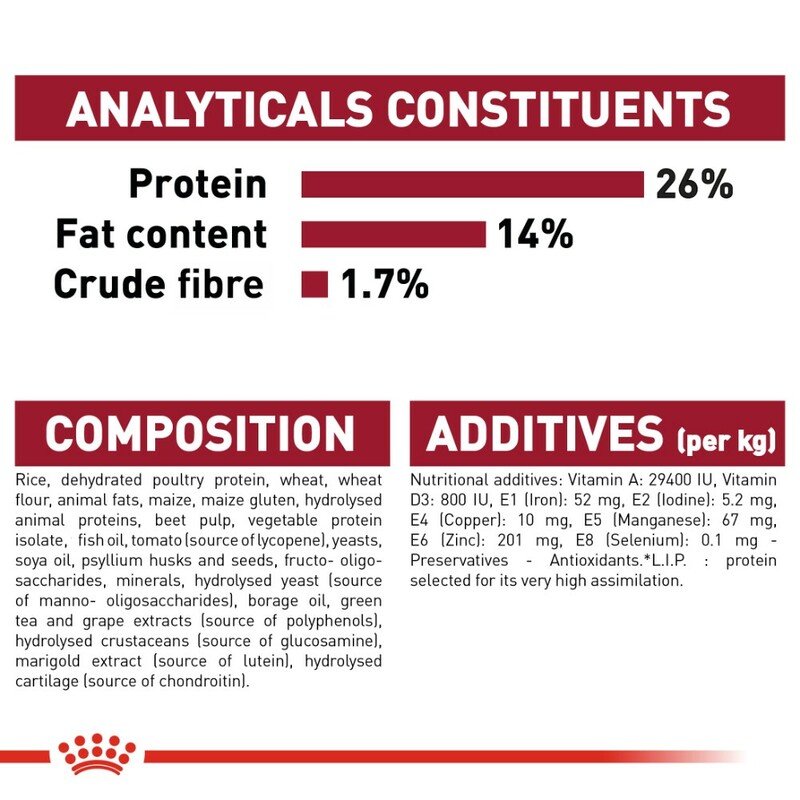 ANALYTICAL CONSTITUENTS: Protein: 26% - Fat content: 14% - Crude ash: 4.7% - Crude fibres: 1.7% - *L.I.P. : protein selected for its very high assimilation.